Well done Bradworthy Young Farmers! ✅ Raised thousands for the Devon Air Ambulance Trust this month through a Tractor Run involving 200 tractors. ✅Set up and fundraised for the Todd Riggs Memorial Scholarship Fund – holding a massive music event for the cause just last weekend. Thanks so much to all our customers who visited our stand today at Holsworthy & Stratton Agricultural Show. We had a great day and enjoyed catching up with you all. View from the office today. Overlooking the cattle rings at Liskeard Show. Definitely a day for sun cream! We are looking for two new team members for the following full-time roles based at the mill at Whitstone; Salaries dependant on experience. Customer services administrator – main duties will be taking customer orders by telephone, dealing with customer feed collections and deliveries, operating the weighbridge and invoicing. Could suit a keen trainee wanting to undertake a business admin qualification or someone with relevant experience in customer service, sage accounting or the agricultural supply trade. Van sales person – your main role will be visiting customers, delivering milk powders, specialist small bagged feeds, minerals & buckets. 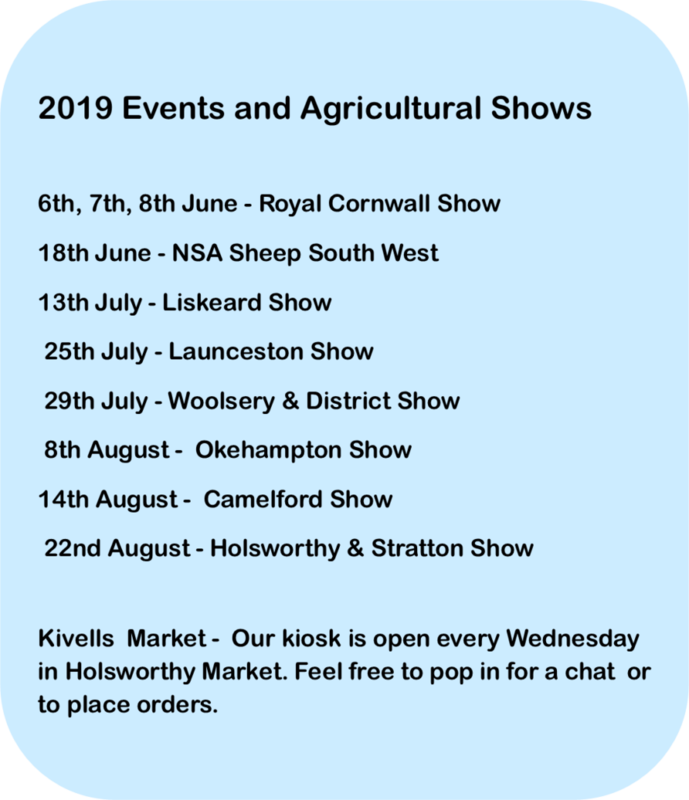 Other duties will include forage sampling on farm, assisting at shows and events, developing sales and representing the business at livestock markets etc. This role would be suitable for someone with some previous agricultural trade experience in a customer facing role.